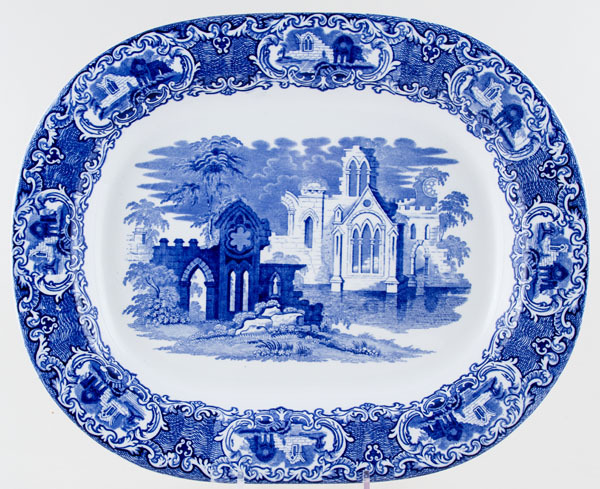 A magnificent large dish Backstamp: George Jones Abbey 1790 England and impressed date for January 1932. A little very minor surface scratching otherwise excellent condition. OVERSEAS SHIPPING OUTSIDE EUROPE Owing to the size of this item a supplement of � about US$65 will be added to the standard overseas shipping charge.